CANvitational is my favorite event of the year. I’m going to share with you the top three reasons why you should be attending this year’s Sun King CANviatational. If you like beer and a good time (because duh), you should be here. 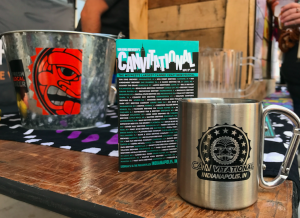 CANvitational is the Midwest’s largest canned craft beer festival. 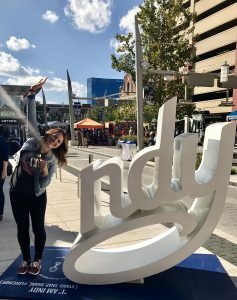 (perfect reason to go) It brings over 65 breweries to the city of Indianapolis for you and your crew of beer lovers to sample all day long. I would even argue that your friends that don’t like beer should join. They may just end up liking beer after this festival. It’s the ideal festival to try all the beer your beer-loving heart desires and then maybe even fall in love with one or five of them. Bottom line.. I love the variety of beers they are able to offer. The event takes place on Georgia Street and the PanAm Outdoor Plaza. FEAST your eyes on the rows of food trucks to feed your newborn beer baby once you’ve had just enough beer to think your left-hand looks appetizing. Bottom line here…food trucks. Duh. I stick to what I know when out & about. I’m serious about this one. If I don’t find a beer that sounds like an intriguing pint of goodness, I’ll order a classic Budlight. Can’t wait to celebrate the day with you! Hi, I’m Meg. I’m so glad you’re here. 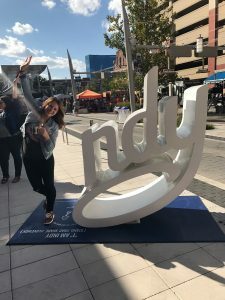 Whether you’re here for your new favorite spot in Indy, searching for a weekend getaway, or exploring all the foodie pictures, my hope is that my blog offers you something sweet to leave with. Cheers!